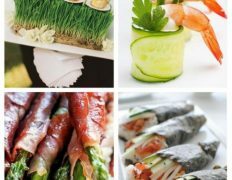 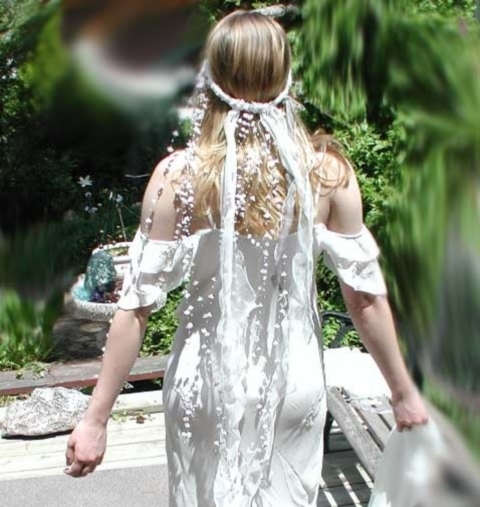 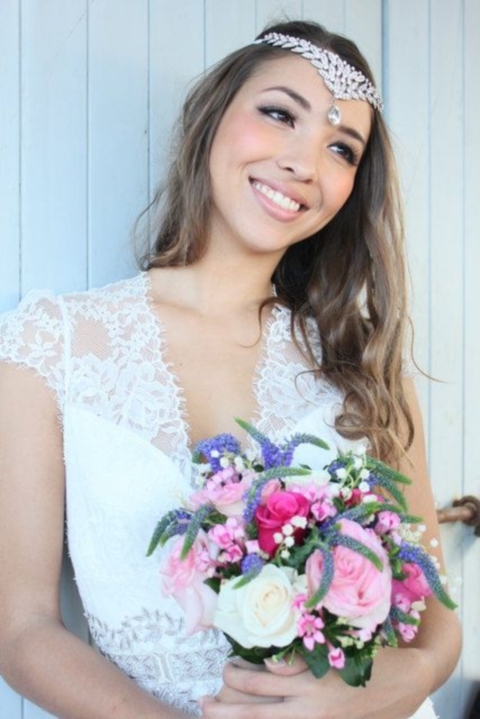 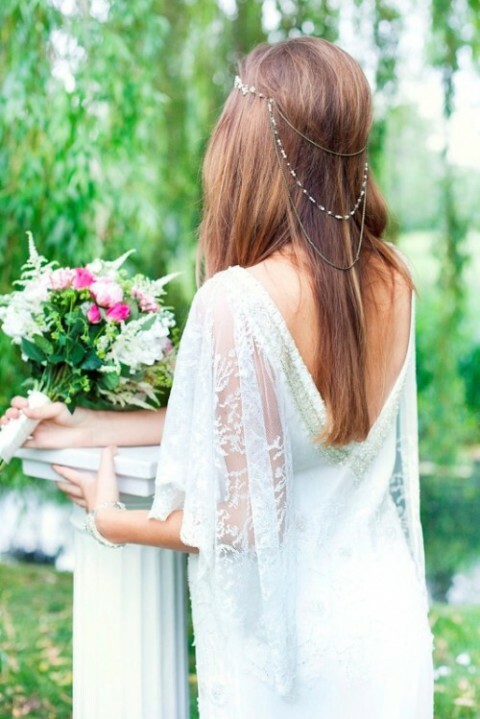 What do you imagine when you hear the words ‘boho bride’? 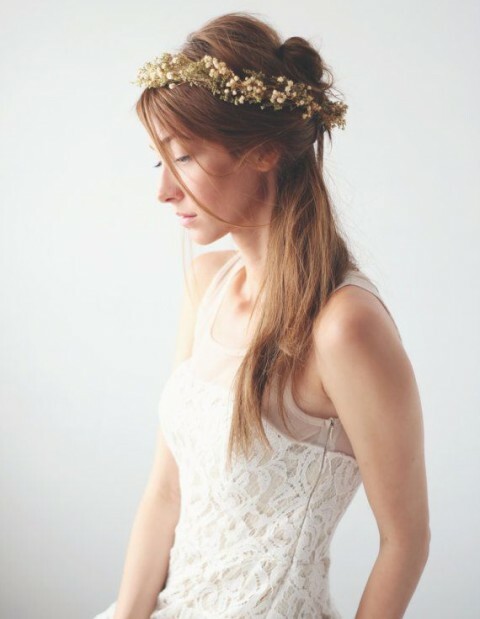 I think of a beautiful girl who is dressed in a relaxed way and looks like a nymph. 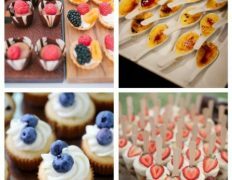 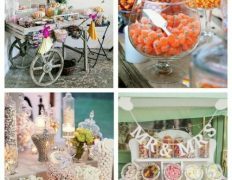 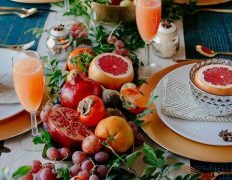 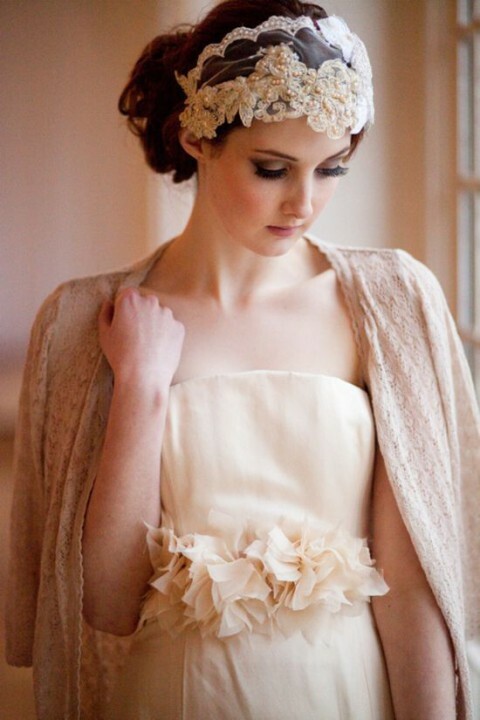 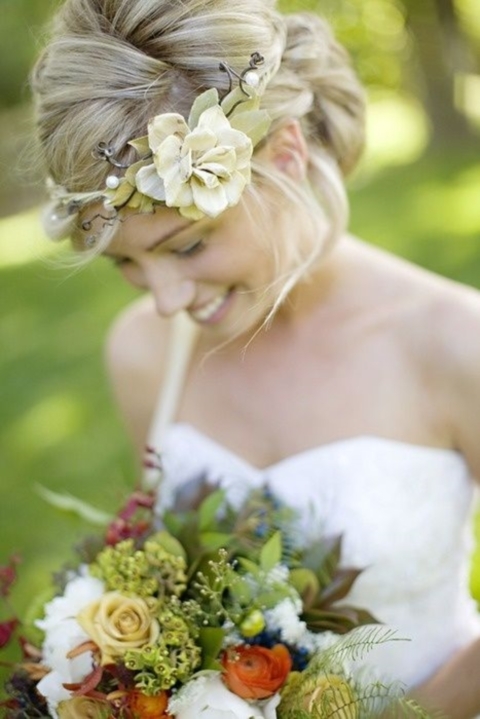 This style is perfect for a beach or woodland wedding, if you want something light, pretty and without too much pathos. 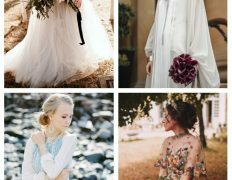 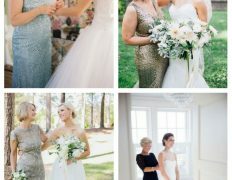 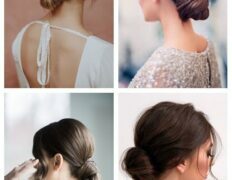 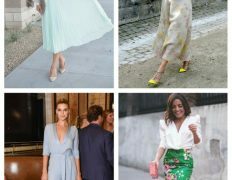 We’ve already rounded up some boho-chic wedding gowns that inspire, and to finish your look you’ll need a corresponding headpiece. 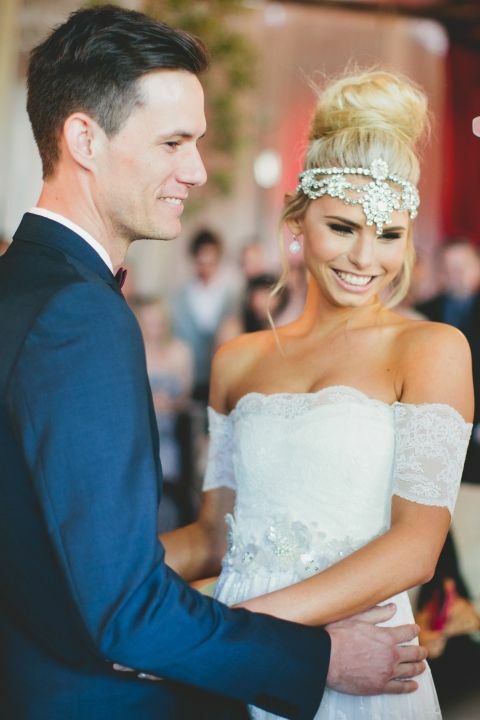 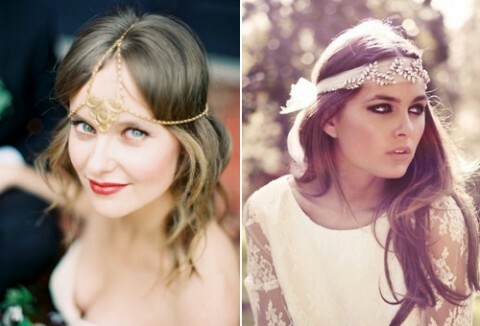 Ah, those bohemian headpieces and headbands! 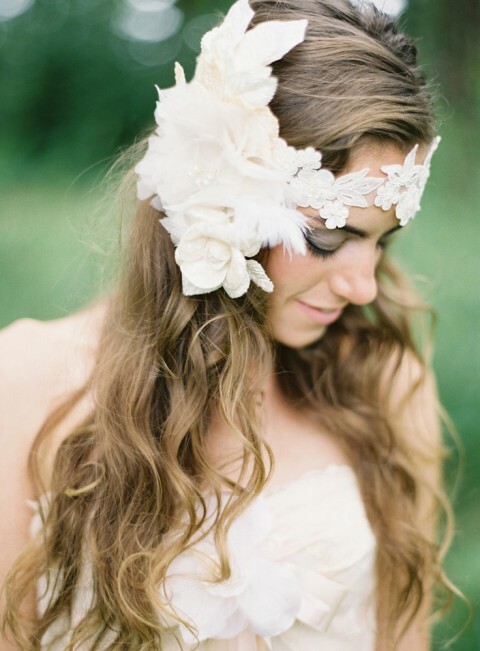 Lace, chains, feather, rhinestones, flowers – everything that would finish your airy boho look. 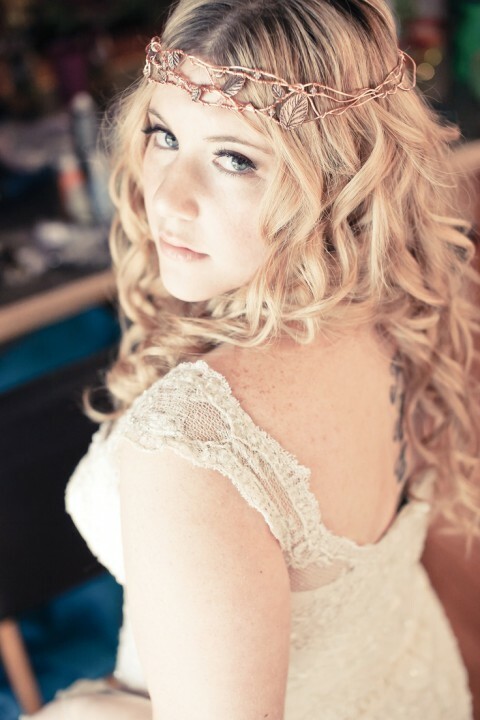 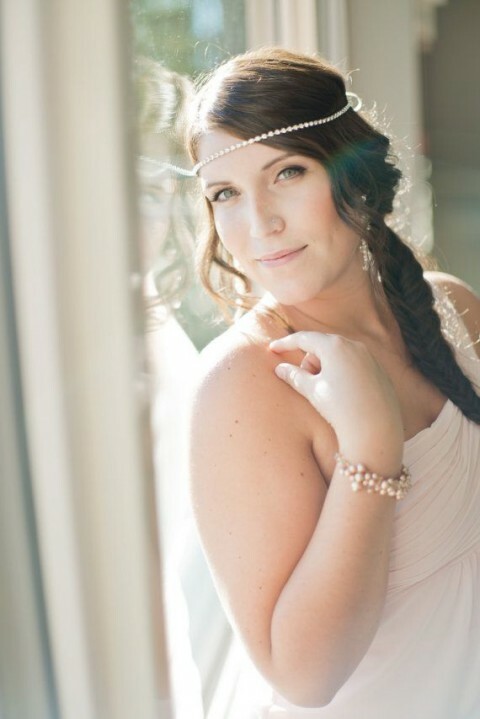 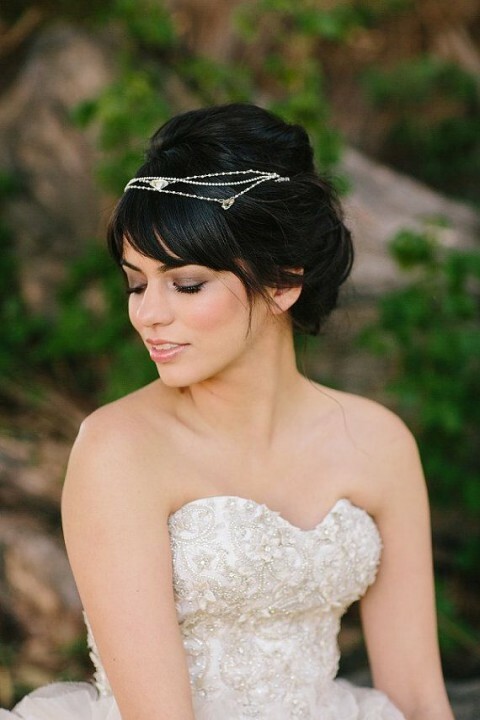 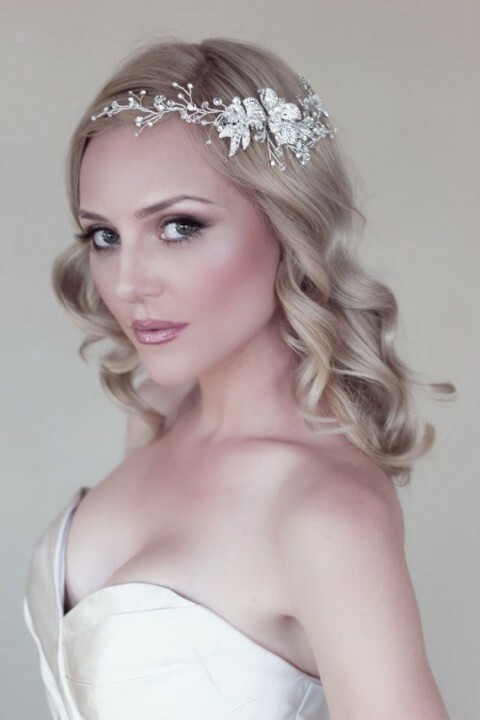 Gorgeous tiaras and flower halos will be ideal if they fit your bridal image and style. 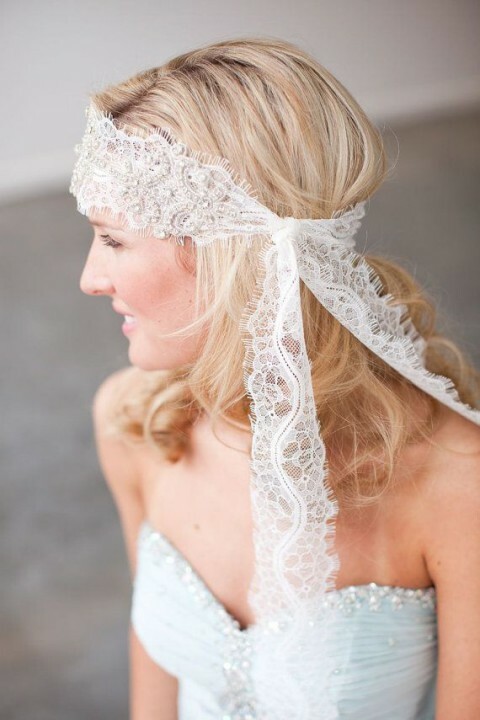 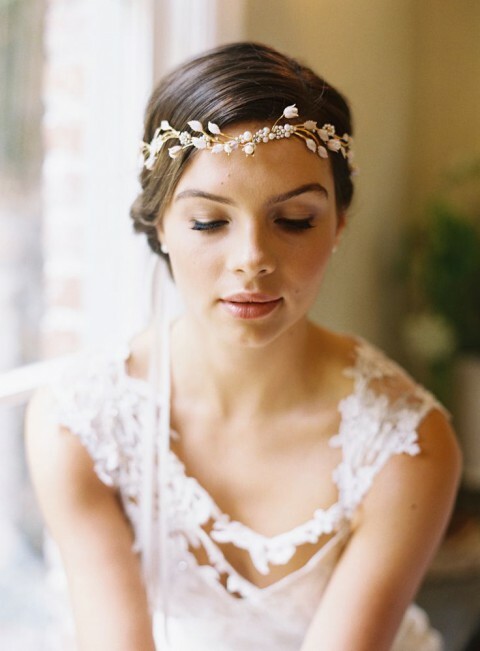 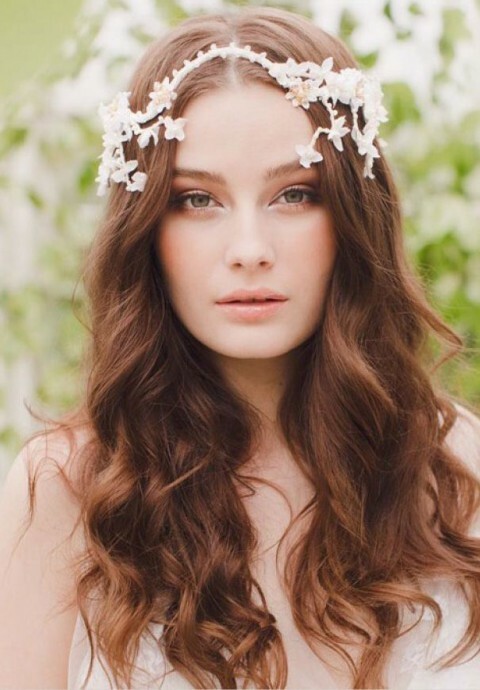 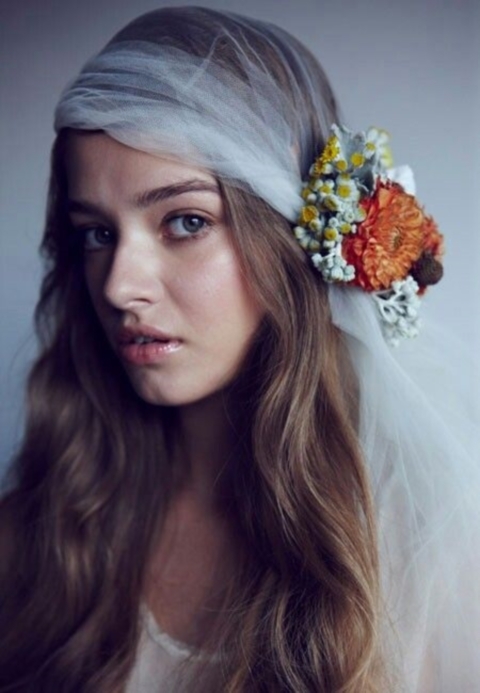 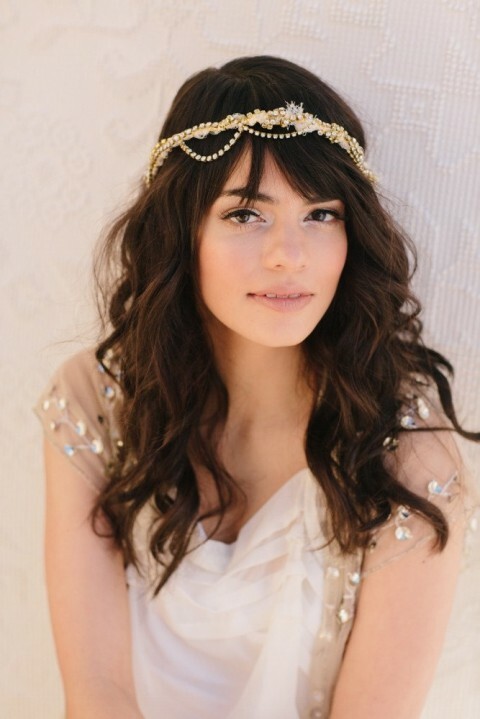 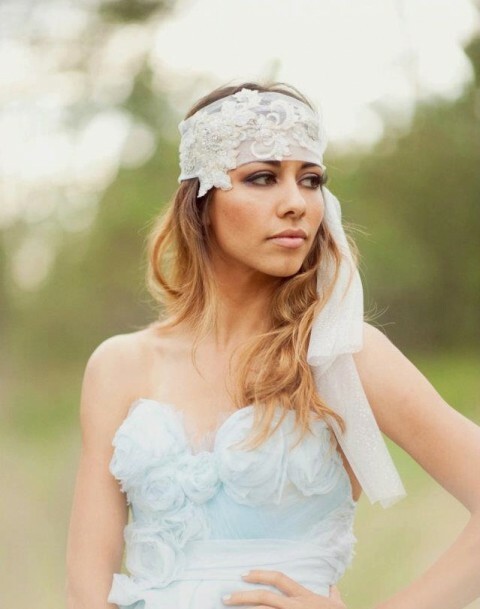 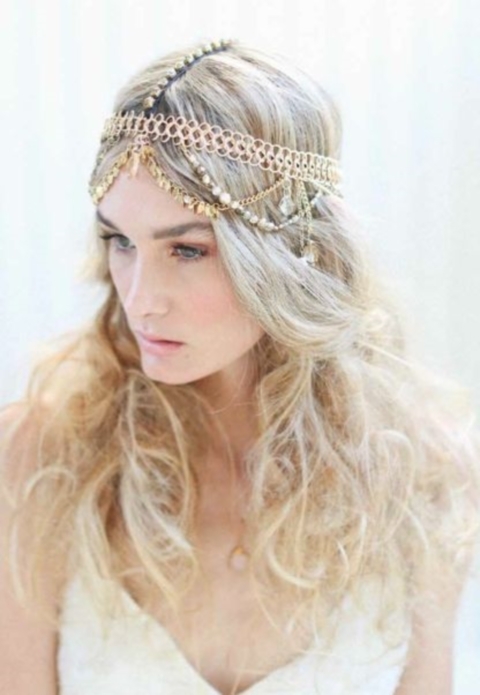 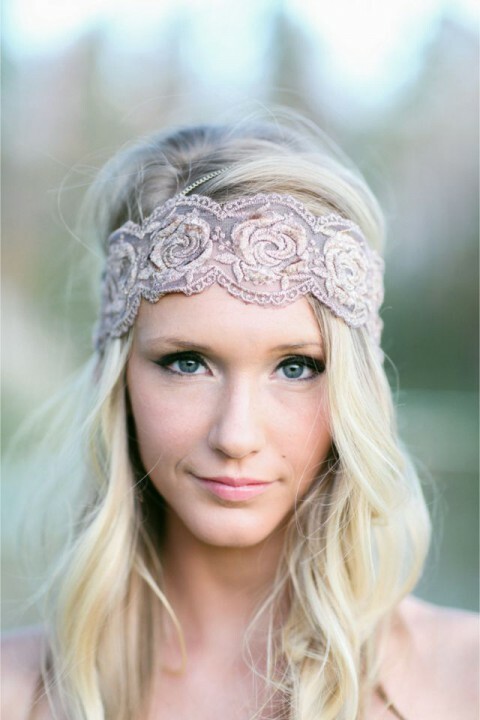 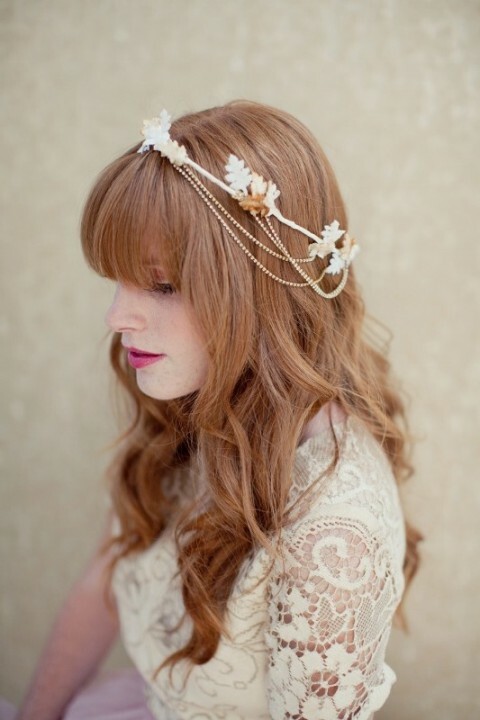 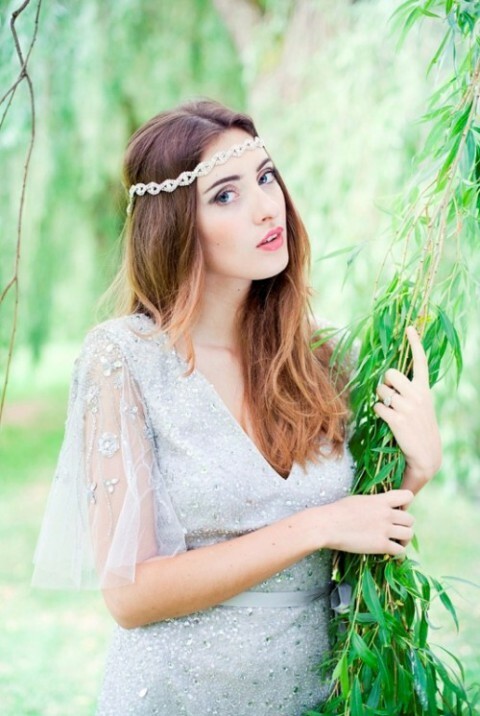 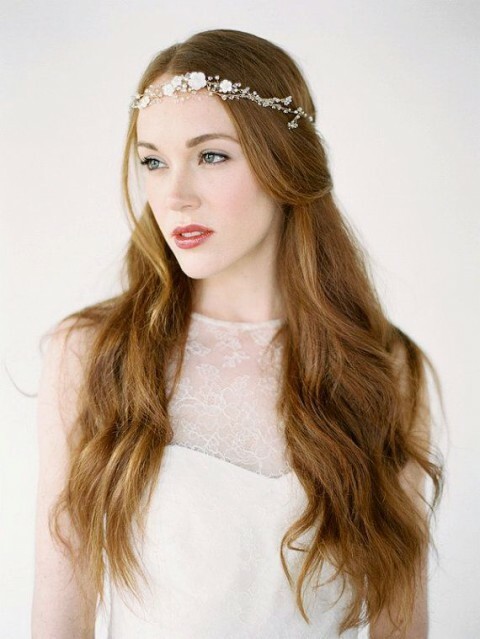 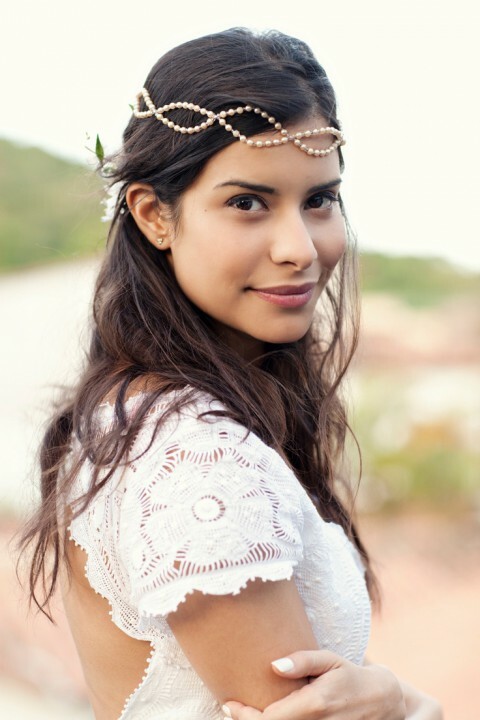 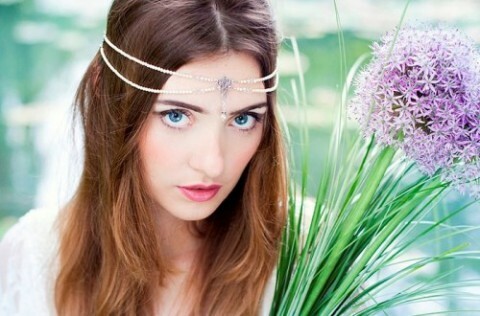 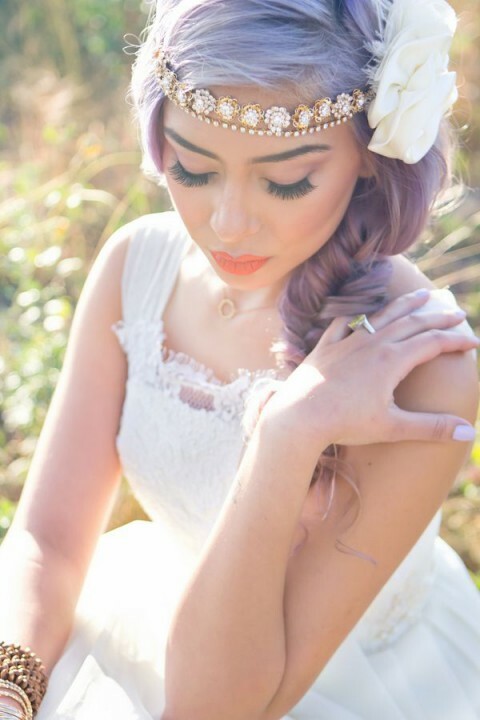 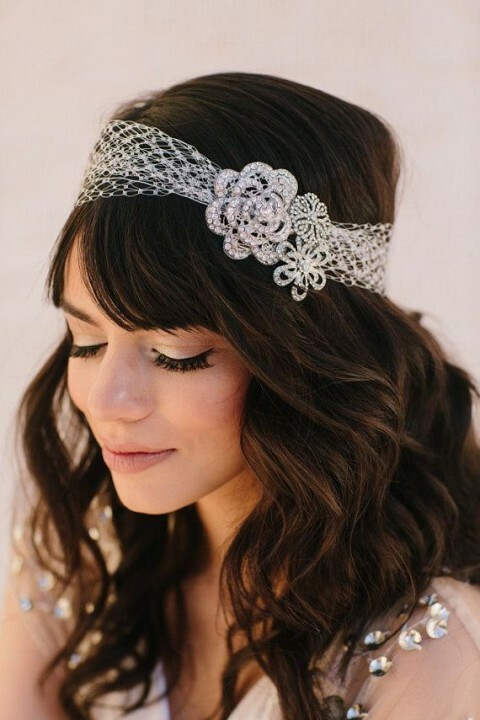 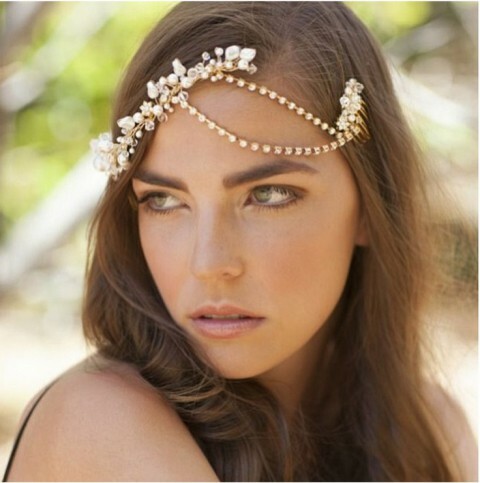 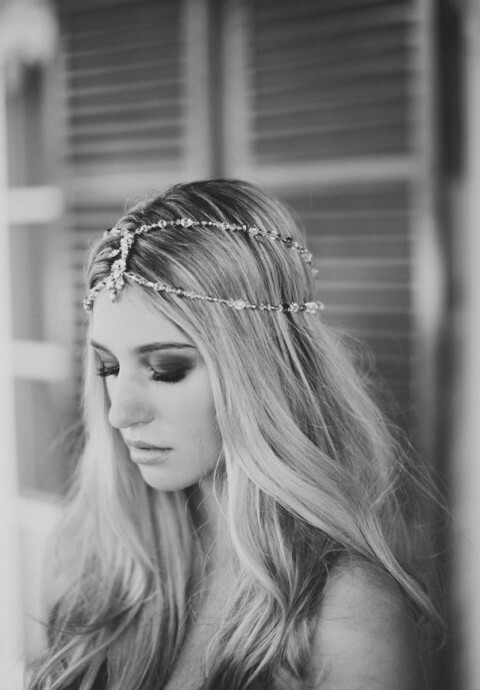 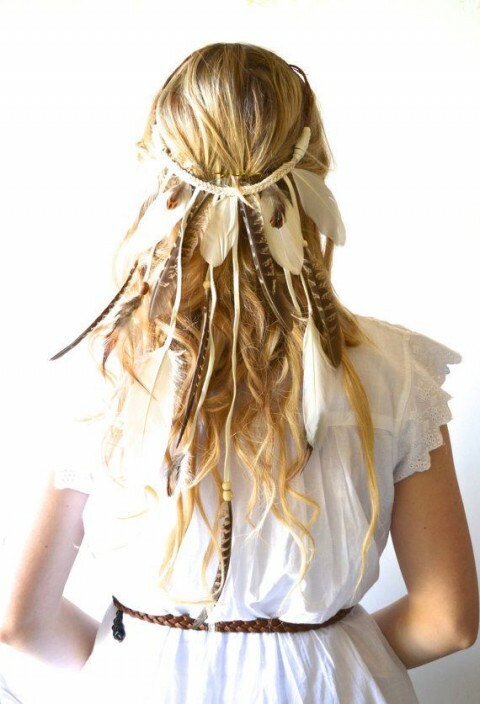 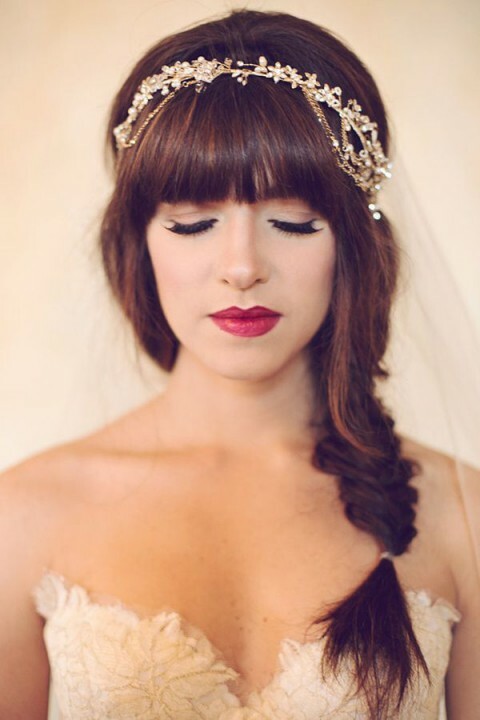 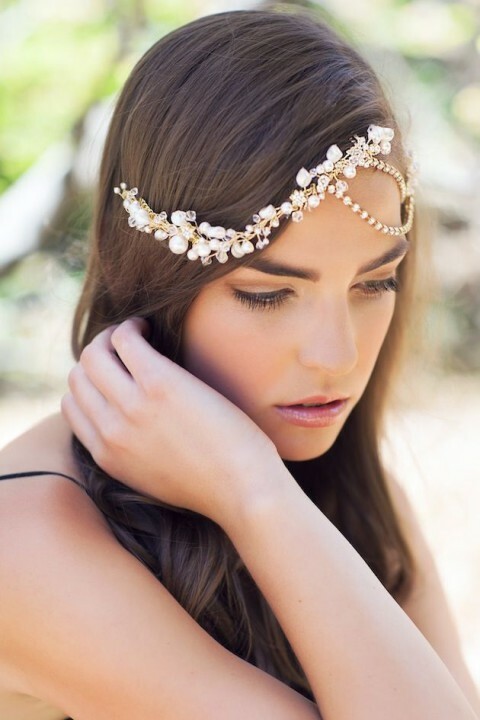 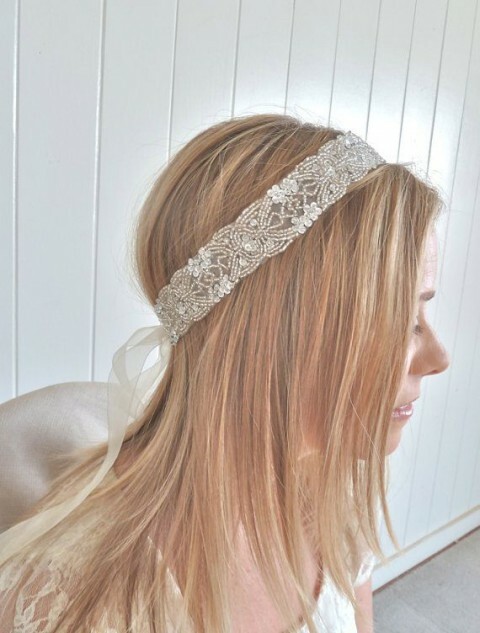 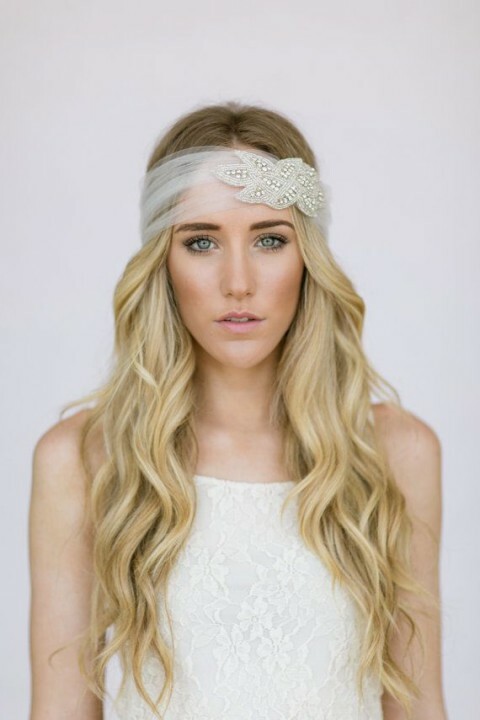 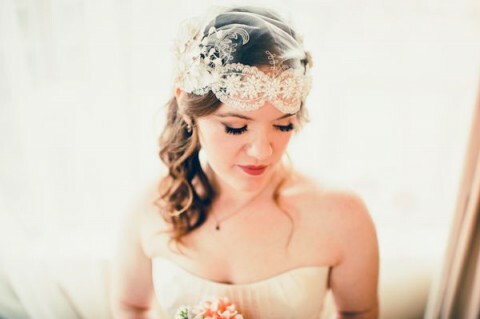 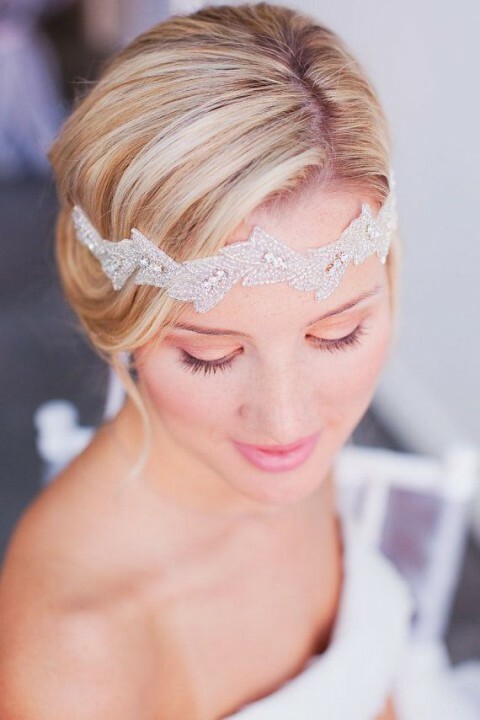 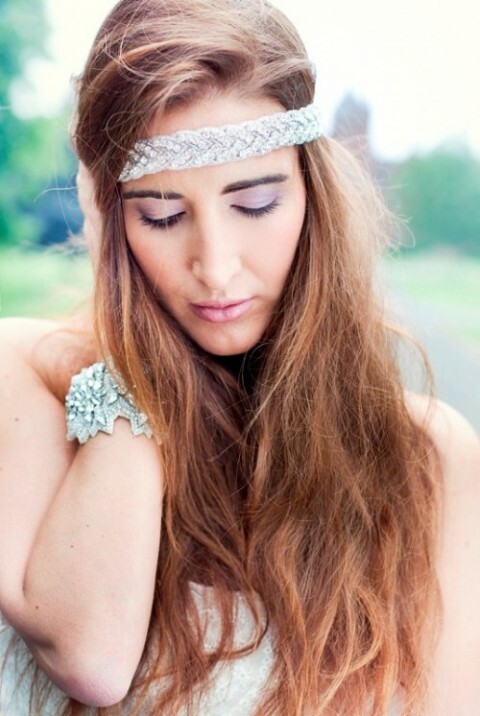 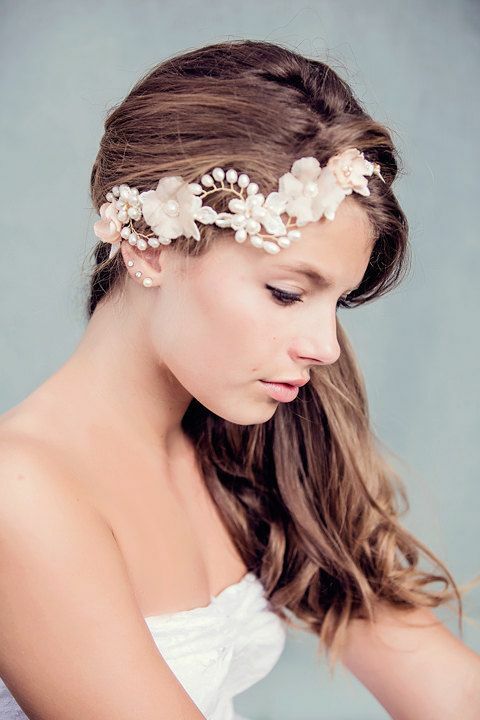 Look at the beautiful boho headpieces below and get inspired!